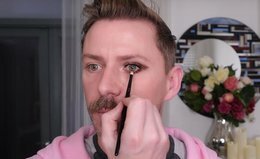 Learn the golden rule for perfect eye makeup—no matter your eye shape—with this game-changing tutorial from makeup artist Wayne Goss. 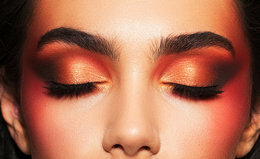 From sweet to sultry, you’re going to love these Valentine’s Day-inspired eye looks. Easy, edgy makeup that goes perfectly with sequins and champagne. Glitter isn’t just for glamming up—and this tutorial proves it. Learn how to create an iridescent glitter eye look that works for your 9-to-5. This clutch-sized palette includes five matte and metallic shades for easy, travel-friendly makeup year round. 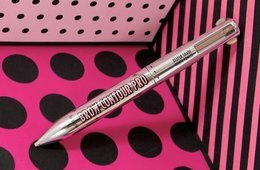 Benefit’s new Brow Contour Pro transforms eyebrows from flat and shapeless to defined and dimensional. Follow along with Manny as he creates an easy, everyday look using only Charlotte Tilbury products. 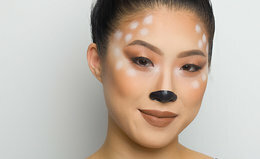 Learn how to create a soft daytime smoky eye that you can dial up for night in just a few steps. Glitter eye shadow has come a long way since the ‘90s. Shine bright with this easy shimmery smoky eye tutorial, featuring an ultra-sparkly shadow that won’t stray from your lids (really!). Your night-out look is here: a sultry smoky eye with burnished bronze and golden tones, courtesy of Natasha Denona and the Sunset Palette. 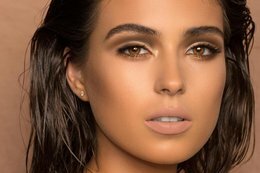 Watch and learn as Natasha Denona shows how to master the heavenly halo eye look with the Sunset Palette. In this video how-to, Natasha Denona walks us through her signature eye look: a polished and elevated take on the smoky eye. Learn how to create an eye-opening cut crease with this easy video tutorial from makeup artist Natasha Denona. Channel silver screen siren Sophia Loren with this glamorous look, created by Natasha Denona with the limited edition Sunset Palette. Learn how to create a unique look for every occasion with this summer’s stand-out eye shadow palette. Achieve the perfect glowing look for your complexion—and liven up dry, dull skin—with the exclusive BECCA Create Your Own Light kit. Our step-by-step tutorial shows you how. See T3’s Mini Miracles Set in action—and learn how to create flawless flat iron curls—with our step-by-step tutorial. How To Finger Wave: Get Inspired By Our Tutorial and Enter to Win Vidal Sassoon Pro Series' Giveaway! The Easiest Messy Bun in the World!